The National Railroad Passenger Corporation (Amtrak) is a government-owned corporation established in 1971 to provide intercity passenger train service throughout the United States. The name Amtrak comes from a combination of “American” and “track.” The members of Amtrak’s board are appointed by the President and are subject to confirmation by the Senate. Amtrak operates passenger service on 21,000 miles of track that connect 500 destinations in 46 states and select Canadian cities. Although the federal government owns all of Amtrak’s stock, it is widely considered to be valueless. In recent years, Amtrak’s financial struggles have led to Republican calls to privatize parts of the railroad and end federal subsidies that keep the railroad going. Attempts by Amtrak to improve its service in key parts of the country have backfired, resulting in more bad publicity for the beleaguered business. Between 1920 and 1970, private passenger rail services in the United States were in an advanced state of decline. From the middle 1800s until 1920, almost all travelers in the United States went by rail. Each of the major railways was owned by a private company, and the system continued like this until 1929. Rail travel decreased sharply between 1929 and 1934, as the stock market crash and Depression curtailed available funds. To combat this, railroad companies developed new, diesel-powered streamliners such as the Pioneer Zephyr and Flying Yankee. But profits continued to dwindle until World War II when troop movements and shipping of supplies increased passenger traffic sixfold. After the war, railroads tried to rejuvenate passenger traffic and briefly enjoyed a revival. But the increased traffic was short-lived. Between 1946 and 1964, passenger numbers decreased significantly, and by the mid-1950s losses totaled $700 million. Equipment suffered and stations emptied as neighborhoods around them declined. Experts attributed these declines to several factors. Some claimed that the industry was hobbled by government regulation and labor inflexibility, which occurred just as airline and private automobile travel were expanding. By the time the Interstate Commerce Commission (ICC) approved the mergers of several existing railroads in the 1960s, the federal government had disinvested in Amtrak, and years of deteriorating equipment and station facilities had taken their toll. These mergers were unsuccessful. Railroads also carried a substantial tax burden (15% on passenger rail travel). Local governments charged additional property taxes on land owned by railroads, which also had to deal with antiquated work rules and unyielding trade unions. Meanwhile, the widening highway system (subsidized by the federal government) and ease of obtaining post-war automobile loans drew greater numbers to the roads. In the 1960s, several major railroads declared bankruptcy. The Pullman Company became insolvent in 1969. In 1970, President Richard Nixon signed the Rail Passenger Service Act, which was sponsored by the National Association of Railroad Passengers (NARP). The bill sought funds to ensure the continuation of train service in the United States. The National Railroad Passenger Corporation (NRPC) was originally a public-private entity that received taxpayer funding and assumed operation of intercity passenger trains. It was originally called Railpax, but before it began operations, the name was changed to Amtrak. Any intercity passenger service currently operating could contract with the NRPC and join the national system. These railroads bought into the national system based on recent losses. The purchase price could be satisfied with cash or rolling stock. In exchange, the railroads received NRPC common stock. Participating railroads were freed of the obligation to operate intercity passenger service after May 1, 1971. Some chosen by the Department of Transportation maintained basic systems of service that were paid for by NRPC with federal funds. Any railroads choosing not to join the NRPC system were required to continue their existing passenger service until 1975 and then had to pursue the regular ICC approval process for any discontinuance or alteration of the service. President Nixon and his administration considered this an experiment that was likely to fail and wanted to give railroad travel one last chance. They expected public support to wane, and that Amtrak would quickly support itself, but neither proved true. Amtrak began operations in May 1971, and 20 out of 26 existing railroads joined the national system. After they switched over, Amtrak continued service on 182 of 364 trains previously in service. Amtrak inherited problems with the existing train stations. Maintenance had been shoddy, and in several cases, facilities were redundant. Merging trains, services, and train stations made train travel more efficient, and soon Amtrak had the opportunity to acquire additional railways. As several northeastern railroads went bankrupt in the early 1970s, Congress passed the Railroad Revitalization and Regulatory Reform Act of 1976. This law created Conrail, and also enabled the Northeast Corridor Railway to be transferred to Amtrak. This was a crowded route and generated much revenue for Amtrak. But the route’s costs were also higher. Federal subsidies increased substantially, but Amtrak fell far short of financial independence in its first decade, as ridership increased. Fuel shortages in the 1970s increased costs for automobile and airline travel, which helped drive even more customers to Amtrak. Political battles over funding followed over the next decades. The federal government, as Amtrak’s only investor, demanded greater accountability and trimmed budgets. By 1997, Amtrak faced a serious cash crisis. As part of the Taxpayer Relief Act of 1997 (pdf), Amtrak received a $2.3 billion tax refund that temporarily resolved the cash crisis. George Warrington, the next leader of Amtrak, ran into trouble with Congress when his lavish spending and extensive borrowing resulted in him trying to mortgage Penn Station in New York. After this elicited a firestorm of controversy, Warrington was forced to step down. This set in motion a series of political maneuverings with Congress that culminated in Amtrak having two managers over the next three years (David Gunn and Alexander Kummant, both former agency president & CEO). Ridership increased again in the 2000s after capital improvements were made to the Northeast Corridor, Amtrak set ridership records in seven of the last eight fiscal years. During FY 2010, Amtrak reported more than 28.7 million passengers, which was its highest total to date, and it predicted 30 million riders for 2011. Although the federal government has invested a total of $36 billion in Amtrak during the 40 years that it has been in operation, recent years of under-funding have caught up with the agency. Congress issued increased funding and instituted a new path to financial self-sufficiency, but these plans failed. Amtrak’s express freight delivery caused problems with competing freight operators and the trucking industry. As a result, Amtrak was not able to add enough revenue, or cut enough expenses, to break even. Although it was clear that Amtrak was unlikely to achieve financial self-sufficiency, Congress again approved funding in 2002 and released Amtrak from its requirement to become financially independent. The National Railroad Passenger Corporation (Amtrak) is responsible for operation and maintenance of a national rail network. The agency serves more than 500 destinations in 46 states on 21,000 miles of routes. Amtrak employs nearly 19,000 people and welcomed more than 28.7 million passengers in 2010. 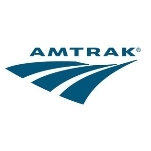 Amtrak owns 1,518 Amfleet, Superliner, Viewliner and other railroad passenger cars, 459 locomotives, 80 Auto Train vehicle carriers and 101 baggage cars. State-owned equipment includes 140 railroad passenger cars and 22 locomotives. Amtrak also owns property, including 363 miles of the 456-mile Northeast Corridor connecting Washington, Philadelphia, New York, and Boston, as well as three heavy maintenance facilities in Wilmington and Bear, Delaware, and Beech Grove, Indiana, and other maintenance facilities in Washington D.C., New York City, Rensselaer and Niagara Falls, New York, Boston, Hialeah, Florida, Chicago, New Orleans, Los Angeles, Oakland, and Seattle. Approximately 70% of Amtrak travel is done on track owned by other railroads. Amtrak pays these host railroads for use of their track (more than $136.9 million in 2010) and other resources required to operate Amtrak trains. Host railroads also receive incentives for on-time dispatching. California: Capitol Corridor Service (San Jose-Auburn), Pacific Surfliner Service (San Luis Obispo-San Diego); and San Joaquin Service (Bakersfield-Sacramento/Oakland, plus an extensive system of connecting Amtrak Thruway Motorcoach routes. Several states, including Connecticut, Delaware, Maryland, New Jersey, New York, Pennsylvania, and Virginia, make payments to Amtrak through transit agencies or state transportation departments for use of the Amtrak-owned Northeast Corridor facilities by commuter trains. Amtrak operates more contract commuter services than any other company. These agencies or states also provide other funding on the Northeast Corridor, including capital funds for infrastructure and/or stations. Amtrak currently provides commuter service for the following state and regional authorities: Caltrain (California); MARC (Maryland Area Regional Commuter); Shore Line East (Connecticut); and Metrolink (Southern California). Amtrak provides equipment maintenance services for the Sound Transit in Seattle, dispatching and maintenance of way service to the Massachusetts Bay Transit Authority and dispatching services for the South Florida Regional Transportation Authority's Tri-Rail operation. In September 2010, Amtrak announced plans to build a Northeast Corridor “Super Express” rail—a 426-mile system reported to cost $117 million, with a targeted completion date of 2040. The agency predicts a near-tripling of ridership and the creation of 160,000 jobs as a result of this project. In 2011, a proposal surfaced in Congress for the privatization of the Northeast Corridor, which would take it out of Amtrak’s hands. As a federally funded corporation, National Railroad Passenger Corporation (Amtrak) expenditures go toward costs associated with the operation of its passenger train system, and fall into one of three large categories: operating costs, capital, and debt service. Eighty-five percent of Amtrak’s operating costs are paid for with ticket sales and other miscellaneous revenue; the balance is paid for by the federal government. The agency’s FY 2013 budget proposal includes $450 million for operations to support the national network of corridor, state-supported and long-distance trains; $1.435 billion for national capital and infrastructure projects; $212 million for debt service; and $60 million for Northeast Corridor (NEC) development projects, the Gateway Project (total project cost is $13.5 billion, which is for the building of two new tunnels into Manhattan and expanding New York Penn Station capacity), and the high-capacity 220 mph high-speed rail system from Washington D.C. to Boston. Amtrak’s FY 2012 budget proposal included $1.285 billion for capital investments to improve infrastructure and existing lines, including in the NEC; $616 million to operate more than 300 daily trains nationwide, and $271 million for debt service. Also included was a request for funds to purchase 40 Acela Express coach cars to add capacity to the high-speed rail line from Washington to Boston, which would be ready to roll in 2014. There was an additional $50-million request to begin preliminary work on the Gateway Project. In its Grant and Legislative Request, Amtrak reported that it had $5 billion in deferred maintenance costs, including 140-year-old tunnels in Baltimore, and 224 bridges that have exceeded their designed lifespan. In the past, Amtrak has purchased some of its passenger cars from Talgo, a Spanish manufacturer of railway cars. When it set out to create a billion-dollar, high-speed service for cities in the northeast, Amtrak turned to a joint project involving Bombardier (75%), a Canadian conglomerate and largest maker of passenger cars in the world, and Alstom (25%), a French multinational conglomerate. Concerned over al Qaeda’s terrorist plans involving trains, a Democratic U.S. senator proposed in 2011 that the government create a “no ride” list for Amtrak, similar to what airlines use to prevent suspected individuals from flying on commercial jets. Senator Charles Schumer of New York suggested the idea after it was learned al Qaeda was considering an attack on American trains. Amtrak was roundly criticized by congressional Republicans in 2010 for firing its longtime inspector general. Representative Darrell Issa (R-California) and Senator Charles Grassley (R-Iowa) launched an investigation of Fred Weiderhold’s termination. Weiderhold was an Amtrak employee for 35 years, including 21 as its first inspector general. What made the firing so disturbing in the eyes of Republicans was Weiderhold had been investigating excess payments by the agency’s law department for outside legal services. The IG also was looking into Amtrak’s decision to sell off railcars and then lease them back. The following year news surfaced that Weiderhold may have violated the law himself, by lobbying Congress to adopt $450 million in spending for “capital security grants.” Federal statutes forbid inspectors general from lobbying lawmakers on legislation. Among the many problems that have plagued Amtrak, its board of presidential appointees has proved to be a source of plenty of bad publicity. Dominated by President George W. Bush’s selections, the board led an unsuccessful effort several years ago to force Amtrak to privatize its northeast train service. At the height of the push, the board fired Amtrak’s president and CEO, David Gunn, who had resisted the administration’s attempts to sell off the best revenue-generating line Amtrak owned. Amtrak’s then-Chairman David Laney praised Gunn’s tenure, but said that the railroad needed immediate changes and that Gunn resisted those changes. Shortly before the firing, the Government Accountability Office issued a report that said Amtrak needed fundamental improvement in many areas, including cost control, goods and services purchasing, and overall accountability. In the wake of Gunn’s removal, some experts and members of Congress began to scrutinize the board, claiming it had been operating illegally. More than once, the board lacked a quorum, with only four of its seven seats filled. Also, according to Rep. Steven LaTourette (R-Ohio), chairman of the railroad subcommittee of the House Transportation and Infrastructure Committee, some directors had served without proper appointment as stated under a 1997 law meant to reform the railroad. In addition, an Amtrak shareholder claimed the board was making changes in Amtrak’s structure without consultation with the holders of common stock. Finally, those appointed to the board had come under attack as cronies of President Bush. Laney, a Texas attorney, raised more than $100,000 for the Bush-Cheney campaign before receiving his appointment, while Floyd Hall, former CEO of Kmart and the Museum Co., was responsible for $360,000 in “soft money” contributions to Bush-Cheney since 2000. Donna McLean, a former Department of Transportation official who started her own Washington D.C. consulting business, gave $2,000 directly to President Bush in 2004. In 1996, the National Railroad Passenger Corporation agreed to build high-speed locomotives and passenger cars as part of the Northeast High Speed Rail Improvement Project. Since that time, Amtrak has experienced multiple challenges related to this program and performance of the trains. Railroad officials became so frustrated with the trains’ manufacturers, Bombardier and Alstom, that they stopped paying the companies. Bombardier and Alstom sued Amtrak in 2001 for withholding payments. Amtrak countersued, and each party sought $200 million in damages. In March 2004, Amtrak and the two companies reached a negotiated settlement. But troubles continued for Amtrak as it was forced to remove all Acela trains from service in April 2005 until faulty brakes were replaced. The brake problem produced more acrimony between Amtrak and Bombardier over whether the warranty on the parts would cover the costs of replacing them. Amtrak was losing money with the Acela trains, its best money-making operation, out of service, and didn’t want to absorb the cost of fixing the brakes, especially since future maintenance work (as of October 2006) would be Amtrak’s to handle, under the 2004 legal settlement. Acela is back on the map for 2012, as Amtrak has included in its budget a request for funds to purchase 40 Acela Express coach cars to add capacity to the high-speed rail line from Washington to Boston. Target date for the cars to become operational is 2014. Another effort to bring about high-speed rail also caused Amtrak considerable grief. In the late 1990s, the federal railroad decided to team up with New York to bring faster train service between New York City and Albany. Millions were spent to revamp existing trains with high-powered turbine engines instead of purchasing new locomotives. The engines didn’t burn diesel gasoline like ordinary locomotives but jet fuel—one of the many things that created problems for the project. After cost overruns and delays kept the trains from going into service, New York officials and Amtrak began pointing fingers at each other for the mess. An investigation by Amtrak’s inspector general in 2005 found that the railroad was spending $2 for every $1 it made from selling food to passengers. Expenses for labor and food were costing about $83 million more than the food service brought in. Even worse, when the costs of maintaining dining cars on long-distance trains and the cafe cars used on short-haul routes were factored in, the losses came to about $130 million. Amtrak’s biggest problem was its labor cost, which is about three and a half times the average for restaurants. Amtrak’s work force is unionized and receives health and other benefits, which most restaurants employees don’t. Also, the study found Amtrak spends about two and a half times as much as restaurants to supply its trains, due to its need to store food and then move it on and off trains. In 1999, in an effort to save money, Amtrak laid off its commissary workers and hired a private contractor to provide its food and put it on trains. That contract, auditors concluded, was flawed because it gives the contractor no incentive to reduce costs. The American Energy & Infrastructure Jobs Act, introduced by House Republicans in 2012, included the same type of privatization provision—with the same flaw. Allow Guns on Amtrak Trains? The National Railroad Passenger Corporation (Amtrak) in late 2010 lifted its ban on passengers bringing unloaded guns aboard trains, after congressional Republicans pushed for the change. The restriction was first put into place after the Sept. 11 terrorist attacks. Under the new policy, riders can check firearms, including handguns, rifles and shotguns, and up to 11 pounds of ammunition at any train station that offers checked baggage. Passengers are required to notify Amtrak at least 24 hours before their departure, and the gun must be stored unloaded in a locked, hard-sided container. Senator Roger Wicker (R-Mississippi) pushed to allow guns on Amtrak, calling the prohibition an “overreaction” to the 9/11 attacks. Wicker and the National Rifle Association argued the rule was not based on any facts, and that sportsmen, hunters and gun owners were treated unfairly by it. They also said it made no sense to ban guns from trains when airlines allow their passengers to check unloaded weapons before boarding. Gun control advocates opposed the lifting of the restriction. They objected to the argument that just because airlines allow checked guns, so too should Amtrak. “A baggage car is not like an airplane cargo hold,” Daniel Vice, senior attorney at the Brady Center to Prevent Gun Violence, told USA Today. “Baggage cars are not as secured,” making it possible for a passenger to gain access to their gun while in transit. Vice and others noted that Amtrak does not screen all its passengers before they board trains. This must be not news to you, because I wrote to you about this before, but since I do not see any positive changes since then, I have to do it again. This is concerning your unaccompanied minors policy which is simply too onerous to honor given the general shortcomings of your service. Let's just start with the fact that your service is insanely expensive compared to bus travel and air travel in this country. Sometimes it is cheaper to fly from NYC to Burlington, VT (by Jet Blue) than to ride Amtrak train the same distance. This should never be the case. The second fact is that your trains are simply moving too slow. It takes 5.5 hours to travel from NYC to Rutland, VT – a distance that in France, Germany, Japan, China and other developed nations would be covered in less than 3 hours. It looks like the train service in this country is relegated to the niche purpose, where traveling by train is not used to get from the place A to the place B, but rather as an experience in itself. Well, in that case that experience should at least be positively memorable. Which it is not, given your recent cuts on sleepers and hot meals. I can only look with my mouth wide agape at how your are running your business into the ground with slow, expensive, and unfriendly service, all the while tax money is flowing to you. Well, I intend to write to my political representatives to stop that flow if my advices are not heard and acted upon. Why would the State of Vermont give you 8 million dollars if we, the citizens of Vermont, cannot get a quality service from you? And that quality service for me means the ability for my son to travel from New York city to Vermont and back when he wants, without any drama attached to it, which he can't do now. My ex-wife lives in New York city, and I live in Vermont. Our son is 15 and goes to a high school in Brooklyn. He is also an avid snowboarder who competed nationally in his youth and would like to come to Vermont every weekend to snowboard. He is well traveled (by plane, train, bus, or car) and he takes a subway in the city alone daily to get to school. In my opinion he would be perfectly capable of traveling alone by Amtrak as an adult. My ex-wife hates to drive and does not want to travel every weekend. But he would be your paying customer if you made it a little easier for him to do so. However, you made your service a hell for him and for our family, and I hate you for that. In many countries nobody really cares about children traveling alone, or there are specific policies in place to make this as easy as possible (look at French SNCF). Here however while being allowed it is made so difficult that one just looses any desire to do it. Let's start that he cannot travel to Rutland, VT nor he can travel from Rutland, VT because Rutland, VT is an unstaffed station. Instead, while we have a perfectly sound train – Ethan Allen Express – stopping 2 minutes drive from our house in Vermont, I have to drive to the nearest staffed Amtrak station to pick him up and/or drop him off, which is Saratoga Springs. That's an hour and a half drive. And I did it many times already. Every single employee at Saratoga station knows him. He, also, cannot take Ethan Allen from Saratoga on Sunday, because that would arrive to NYC after 9:30 pm, the curfew for unaccompanied minors on Amtrak trains, he has to take an earlier Adirondack, cutting his time on the mountain. And while Ethan Allen leaves NYC early enough on weekdays to come to Saratoga before 7 pm, on Friday, the day when people travel for weekends, it leaves NYC late, and comes to Saratoga at 9:23 pm. This is still before the curfew, and yet he can't take it! Why? Because your staff leaves the Saratoga station at 6:30 pm on Friday. A simple thing - one parent sending their son to the other, so he can ski on weekends - you made a hell of with your policies. So, if I want him to come on Friday, I need to drive to Albany to pick him up – 60 more miles back and forth. Or my ex-wife has to take him to Adirondack at 8:15 am, losing time from work, and making him lose a day in school. I hope you see how impossibly difficult you made our lives. And I intend to share this story with media, social networks, politicians, everybody, until I see changes. I will not forget the stress my family is going through this whole winter because of you. And there are changes you can and should make. First, I believe that all your stations should be staffed, at least at the times when trains arrive and depart. Second, I believe that terminal stations of so-called Express trains, like Rutland, VT, should always be staffed. And I seriously intend to write to my state to cut off your funding if you do not staff Rutland station. Third, I believe that a law should be passed to require that stations, that are listed as staffed, like Saratoga Springs, are made sure to indeed be staffed at all times when a train there arrives and departs.What's the point of having a staffed station that is not staffed when actually needed? Fourth, if for any reasons you cannot make sure all your stations are staffed when they needed to be staffed, then why would be a big problem asking the train conductors to handle the unaccompanied minors paperwork? The forms should be available on-line together with the tickets, and the parent can bring the child to the train with the form and show ID to the conductor; and conductor can deliver the child to the other parent at the destination station after checking her ID – this does not add more than a couple of minutes to the conductors job. Fifth, you should be carrying my son free of charge form NYC to Albany to compensate me for the travel time and gas money incurred solely to accommodate your unaccompanied minors policy rules. Sixth, if you can't make the unaccompanied minors travel less restrictive and more hassle free, than you should just eliminate that policy. I would be perfectly fine with my son traveling as an adult. And he would be, too. If it is too difficult for you to implement your unaccompanied minors policy being so short-staffed and unorganized, then maybe you should just give up on it. Let parents make that judgment call, whether they believe their child can or cannot travel alone on the train, as they did in the days when I was a child. I just need a train that will bring my son from New York city to Vermont and back for the money I paid. I don't need the excuses why that can't be done. If you can't do that, then frankly you should not be in business, you should let somebody else, somebody more competent run the passenger rail in this country. The hob owns the stock and is the board but and gives over a billion dollars to a private entity who runs it and looses money annual and is stifling to survive. Here is my take as a consumer. In the Midwest and west coast, I think it is faster and cheaper to fly. It has poor maintenance. How hard is it to take a Lysol spray bottle and clean the bathrooms and the stairwell following the exit of a car. The menu and prices have not changed in 10 years. The cafe neither. Some station have been remodeled by local funds. There is no mefical training for the staff and the medical kits are pathetic. A person is constantly being thrown around when attempting to walk. There is no concern or care taken in the prevention of an accident or care in taking care of one. There are no wheel chairs if needed. Chairs and it's features are often broken. How hard is it to have a maintenance man with a tool box to go through the train and fix things, wipe down the seats and spray with Lysol. It truly can be disgusting in some of the bathrooms. They have not improved the trash system. I cannot stand the big trash bags in the larger bathrooms. The new feature is that if you don't tip you don't get service. What exactly are these employs getting paid for. They don't help, they drive up, they take a ticket. Nothing has changed or improved in the ten years I have traveled on amtrack. I have found that a company who receives a great deal of money, never improves and constantly complains it doesn't have money does not use the money for which it intended. Bad gov is when it pays a private company to run a business under the guise of a gov agency. Either it is government or private one or the other or the gov holds the private company accountable for its performance.us post office is another example. It is insidious. Typically a government takes the tax payers money and uses this money to pay for health care, transportation etc. then the service that the taxpayer has paid for already is at no charge, because they already paid for it. It is also an incentive to keep a society gainfully rmoyed. That is the payoff to the public. But the Us has created a double payment system and has deceived the public, really it is defrauding the public. The public is paying taxes and 3x a fee to use the services he has already paid through taxation. Any service subsidized by the gob should be a nominal cost or no charge. That is the whole purpose of paying taxes. A private company who receives no gov funds at can charge whatever they want. They have to run a successful business to stay in business. The gov who steels money from the public ends up in a revolution according to history. The US taxes and gives to a private company and the private company charges 3x the rate it would actually cost to run a business successfully. Each time they add a new level, another party they just tack onto the customer. Do now they keep the gov funds and are still making a considerable profit and to cover the scheme up they complain there is just not enough money to do a good job. That is my take on it. Frankly it is a viable country that employs both independent transportation private autos that is freedom to travel at will, public transportation serves it's purpose and should be available and of quality. How much (if anything) does Amtrak charge the MTA (LIRR) for use of its station (NYP) and tracks? Same goes to NJT, do these organizations get charged anything for the use? If so, what is the cost each year and where does AMTRAK allocate the money too? I should not be forced to drive my son 75 miles to a train, while having a train station at less than a mile from our home. THAT is ridiculous. It is 150 miles back and forth to pick him up, and 150 miles to drop him off. That is 300 miles of driving. Calculate the gas costs, vehicle depreciation, risk of accidents, risk of being stopped for speeding, or whatever else bs reason people get pulled over for in this rapidly deteriorating country, my time, and the health issues (bad back, recent total knee replacement, etc.) and you will see how your question is utterly ridiculous. I can take 1.5 to drive, I obviously do. But I should not have to, if the rail service is better set up. I noted there are other trains on the route through Saratoga Springs, not through Rutland. So, those other routes do not exactly solve the problem of having to drive to Saratoga Springs, do they? No, Amtrak did not timely inform either me or other customers about the track work at Penn. My ex-wife made the reservation on 4/27 for our son to travel on 5/28. She spoke to a human. Yet she was not told anything about the track work. Reservation was made to Penn. When Amtrak called her on 5/17 requesting to change the reservation, the new reservation was written to Penn, despite that the web-site claims all the trains will be re-routed to Grand Central as of 5/26. Confusing, incorrect, very annoying. We have no problem with the re-route. GC is 8 street blocks and 3 avenue blocks away from Penn. Not a big deal at all. The issue is that Amtrak claimed to my wife that Tin as unaccompanied minor cannot travel on 5/28 because the train is coming to GC instead of Penn. THAT is the issue. Because, we believe Amtrak should be providing the same level of service at GC as the do at Penn. And because the train on 5/27 also terminates at GC, so why would the train on 5/28 be a problem if the train on 5/27 is not the problem (I of course, emailed all those questions to Amtrak, but I am still waiting on their response)? My ex-wife works in New York city. I live mostly in Vermont. Our son is an avid snowboarder. He was homeschooled and nationally competing through his middle school years. He flew on the airplane alone with his coach to Colorado. He takes a subway alone daily to his high school in Brooklyn (he decided that he really wants to be a computer engineer and got accepted to Brooklyn Tech) and to his jazz program at Brooklyn Conservatorium. He would love to go to Vermont every weekend during winter. But my ex-wife hates driving back and fort, her lower back hurts, and I can't be driving 1200 miles back and forth every weekend to make this possible, we had him late in our lives and we are both over 50. That's why civilized developed countries have trains. And we would let him travel alone by train. We are completely convinced that he can handle himself traveling alone. Heck, he is better organized and more alert than most adults I know. But he just turned 14, and he is short, and pre-pubescent, and lying about his age would simply not work. So, we signed him up with Amtrak like unacompanied minor. The policy itself is not an issue. Amtrak has the same policy as Eurostar. Most other European passenger rail systems have exactly the same procedure for 12-16 year olds. The hour they ask you to come before is flexible. It is generally sufficient to be there 20 minutes before the train arrival at stations that are not very busy. I came once 5 minutes before. That was not welcomed. I was yelled at, but he was still taken. The problem is with implementation because Amtrak is simply not set up for that as well as Eurostar. Because the service can be used only at the stations that have living people working there. And and overwhelming number of Amtrak "stations" are just curbside stops in the middle of nowhere. This greatly limits the usefulness of this service. For example, we have a house in Rutland, VT, close to Killington Ski Resort. Rutland is the terminal station for the Ethan Allen Express that travels daily to and from New York city. But it is an unmanned station. So my son cannot board the train alone at the train station that is 10 minutes walk from his home. Instead I have to drive him to the first manned station along the route, which is Saratoga Springs, an hour and a half drive by car, if speeding. That's a huge inconvenience. He also cannot take that train at the most logical time for him (Friday to VT, Sunday to NYC) because the train on those days comes to destination after 9 pm (a limit for unacompanied minors). Another giant inconvenience, rendering the service practically useless to us. Luckily there is another train (Adirondack) that passes through Saratoga on different schedule, and we have been using that one a couple of times. But if that service is better organized and more customer friendly we would have been using it dozen times! Amtrak complains about its losses. Well, they offer slower service at higher price than anywhere in EU (or even China), and then on top of that they errected so many additional hurdles, crippling the customer's convenience. This is why they are losing money. They are losing customers like us. The latest issue is this Memorial Day. We had a ticket for my son to come to VT on Friday, and go back to NYC from Saratoga by Adirondack on Monday. Then they called my ex-wiife telling her that because they are doing repairs to the Penn Station, all the trains will be re-routed to Grand Central station. So, she changed the reservation to a day earlier. That's not an option. Why would we even further inconvenience ourselves by ruining our vacation time? And the trains are re-routed to Grand Central on Sunday, too, Amtrak's website says. Yet, both reservations were written to Penn Station. Besides, why would that be a problem, anyway? Grand Central station is in NYC, too. Do they want to claim they don't have anyone working at a train station in New York city at 8 pm? This is outright ridiculous. The greatest city on Earth treated like some third world hamlet. They should have made sure that all services otherwise available at Penn Station are available at Grand Central while the repair work at Penn is being completed. This is an outrage. I think Amtrak should be terminated and the US passenger rail leased to French, German or Japanese train companies, that know how to run train business. Check it out what French passenger rail operator (SNCF) does for school holidays, to make it easier for kids to travel alone, so that they can have a vacation, visit grandparents, go to the country, without their parents having to lose from work and drive them back and forth: https:/…junior-compagnie - wake up, Amtrak! Like any other business, train operation is a customer service business. And your customer service is absolutely horrible. Currently on the California Zephyr inside the Moffat Tunnel. I ride the rails quite frequently. I have taken 3 trip from FL to CA just this calendar year. I enjoy bumping around the country and meeting some nice people. Having said that AMTRAK trip enjoyment is very spotty. The primary reason is the attitude of the staff. Typically the car attendents are good, 80% of the time, while the dining car staff perhaps 50% of the time. I always travel sleeper class so I see quite a few different crews. How to improve AMTRAK, at least on the routes W of the Mississippi/ 1. Contract out the service staff. If you want to see how an operation is run check out the Metropolitan room in Chicago Union Station. 2. Upgrade the cars or at least keep the current cars working. In a roomette right now. Very little cooling. A number of the toilets do not work. POOR car service. This will be the 1st time I haven’t tipped the car attendant. 3. How about having someone wipe down the tables in the lounge cars. This is the case with all trains. Seems like that should fall in to someone”s job description. 4. Do some staff quality control training. Spotty at best. Nothing is worse than paying for service and encountering employees with a “my job is secure so I’ll do what I want to do and not what I should be doing.” Last night car attendant knocked on the door at 8:45 and told me he was going to bed at 9:00 (in what to me and other passengers’ was a surly manner) and if I wanted the bed made up it was now or never. I will do it myself tonight. If AMTRAK is trying to reduce ridership on the western routes so they can cancel those routes they are doing a good job at it. FYI , I am a Select Plus rider about to go Executive level. PS....the call center people are always exceptionally professional. First and foremost AMTRAK is a monopoly it's has no competition for nation wide service. Ticket prices are way too high. Secondly why are the US taxpayers funding a service that the majority of Americans don't use. Let them operate on their own, that'll we the proof of whether they can survive. I would sure like to see a spur put in at Branson, Mo. So folks can go to back and forth from Chicago/ Homewood, il...to Branson,Mo. There is a lot of Chicagoans living in Branson....and it would be great to hop the train in Branson and come home for holidays, family doings,and frequent visits....to see family and friends. Could you look into it...would rather take the train than to take a bus, or drive 8 hrs. Thank You! If he is looking for a post-retirement challenge, Anderson certainly found it: in May President Donald Trump proposed ending $630 million in subsidies for Amtrak’s long-distance train service, which comes to 45% of the $1.4 billion the government spends on Amtrak each year. Richard H. Anderson was born May 2, 1955, in Galveston, Texas, where his father, Hale Anderson, worked for the Atchison, Topeka and Santa Fe Railway, and his mother, Frances, worked as a medical receptionist and typist. The third of five children, Anderson moved with his family to Amarillo when he was in high school. After both his parents died of cancer when he was a freshman at Texas Tech University, Anderson moved to Texas City, Texas, near Houston, to care for his younger sisters. After working as a plumber’s assistant and a ditch digger, Anderson landed a job as executive assistant to the Harris County (Houston) district attorney, who encouraged him toward a legal career. Anderson earned a B.S. in Political Science at the University of Houston – Clear Lake in 1977, and a J.D. at South Texas College of Law in 1982. Anderson served as a prosecuting attorney for Harris County, Texas, from 1982 to 1987. But with a young daughter and a son on the way, as well as student loans to repay, Anderson “needed better earnings.” Fortunately, neighbor Ben Hirst worked in the legal department of Continental Airlines and helped Anderson get hired. Anderson’s quarter-century of aviation experience began in 1987 at Continental Airlines in the legal department. After three years, Anderson (along with Hirst) took a job at Northwest Airlines, relocating to Minneapolis. Anderson worked for Northwest for 14 years. His job titles included vice president and deputy general counsel (1990 to 1994); senior vice president of labor relations, state affairs and law (1994 to 1996); senior vice president of technical operations and airport affairs (January 1997 to April 1998); executive vice president of technical operations and airport affairs (April to December 1998); executive vice president and chief operating officer (December 1998 to April 2001); and chief executive officer (April 2001 to October 2004). Anderson left the airline industry in October 2004, leaving Northwest to become executive vice president of United Healthcare from November 2004 to August 2007. He was also CEO of Ingenix, United HealthCare’s health data subsidiary from January 2005 to January 2007, and president of its New Commercial Services Group. From 2004 to May 17, 2006, he was a board member of Xcel Energy, the Minneapolis-based utility holding company. Anderson joined the board of directors of Delta Airlines in April 2007 and became CEO in September 2007. Anderson engineered a merger between Delta and his former employer Northwest that proved financially successful and led to a wave of mergers and consolidation in the industry. He retired as Delta’s CEO effective May 2, 2016, and was executive chairman of the Delta Air Lines board of directors for an additional five months. In 2015, he received compensation of more than $17.5 million. Between February and July 2016, he sold $15.9 million worth of Delta stock. He and his wife also donated almost $2 million worth of Delta shares to raise money for the development of the Atlanta BeltLine's Westside Trail, which allowed the project to secure a grant from the U.S. Department of Transportation. He has served as chairman of the Airlines for America board of directors, as well as the International Air Transport Association board of governors. He is a member of the board of directors of Medtronic, in which he owns about $6.4 million worth of stock. And, beginning in May 2006, he has been board member of agribusiness giant Cargill. He has also served on the board of directors of entities as diverse as the Henry Ford Museum and Greenfield Village, the Federal Reserve Bank of Atlanta, Business Leaders for Michigan, Greater Twin Cities United Way and Minnesota Mutual Companies Group, Minnesota Life Insurance Company, MAIR Holdings Inc., the St. Thomas College of Business and the Minneapolis Institute of Arts. In November 2016, he was appointed a member of the University of Texas MD Anderson Cancer Center board of visitors. Over the years, Anderson has contributed to the campaign funds of both Republicans and Democrats, particularly to those on Congressional committees that oversee the airline and healthcare industries. Anderson is married to Susan Anderson, with who he has two adult children, Katy and Rick. Charles W. “Wick” Moorman IV, who has spent his entire career working in the railroad industry, took over the National Railroad Passenger Corporation, or Amtrak, on September 1, 2016, when he was appointed as its president and CEO. Moorman was born in 1953 in New Orleans, where his father was attending Tulane University. His family moved to Hattiesburg, Mississippi, shortly thereafter, where the elder Moorman taught English at the University of Southern Mississippi. Moorman grew up there, except for a period during which his father taught in London. Moorman attended Georgia Tech, earning a B.S. in civil engineering in 1975. But even before then, he was working for the railroad. He began with the Southern Railway in 1970 in a co-operative education program. When he graduated from Georgia Tech, he became a management trainee for Southern, moving up through the ranks to become a track supervisor and division engineer. In 1987, Southern offered buyouts to some of its engineering personnel. Moorman, who had wanted to return to school to earn an MBA, took one and went to Harvard. He graduated in 1989 and applied to return to Southern. The railroad took him back as its director of transportation planning. In 1991, after Southern merged with Norfolk and Western to become Norfolk Southern, Moorman was named assistant vice president of stations, terminals and transportation planning. He continued to climb the corporate ladder and in 2003 was named senior vice president of corporate services and later that year was made senior vice president for corporate planning and services. In 2004, he was named Norfolk Southern’s president, the following year its CEO and in 2006, Moorman added chairman to his title. He retired from Norfolk Southern in 2015, after which the railroad named its largest train classification yard, in Bellevue, Ohio, after him. Moorman took the Amtrak job for $1 a year, plus incentives that could reach $500,000. He also serves on the boards of oil giant Chevron and Duke Energy. He has said he doesn’t expect to lead Amtrak for long. As one might expect of a train enthusiast, Moorman has his own train, or at least a train car. He owns “Sandy Creek,” an office car that can be attached to regular trains. He also enjoys golf—he’s a member of Augusta National as well as other clubs—and has played in the Pebble Beach Pro-Am. Moorman and his wife, Bonnie, have two grown children, a son and a daughter. Moorman was a donor to Barack Obama in the 2008 election, but in 2012 threw his support to Mitt Romney.